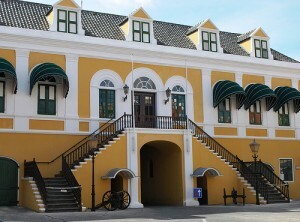 WILLEMSTAD – Mr. Ivar Asjes has resigned as Prime Minister of Curaçao and Minister of General Affairs before the Governor. He will be succeeded by Mr. Bernard Whiteman, who, next to the Ministry of Health, Environment and Nature (GMN), will be in charge of the Ministry of General Affairs. The leaders of the factions in Parliament who support the government with the Pueblo Soberano (PS) signature have reached an agreement earlier on the candidacy of Mr. Whiteman as Prime Minister.